Lube1 automatic transmission oil are all 100% fully-synthetic on PAO-basis. Thanks to our proprietary AACP technology, all our transmission oils are mixable with other commercial transmission oil, and the are extremely heat resistant. HTTC tests show that Lube1 oils create less deposits. This makes Lube1 Premium oil run cleaner, which increases the transmission's service life. Lube1 Premium ATF is a 100% fully-synthetic automatic transmission oil for automatic transmissions. The unique combination of state-of-the-art lubricant technology meets and exceeds the performance levels placed on modern automatic transmission oils. 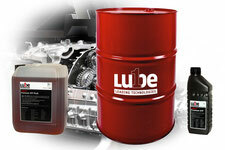 Lube1 Premium ATF is backwards compatible with older automatic transmissions. 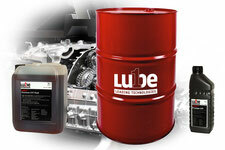 Lube1 Premium LV-ATF is a 100% fully-synthetic automatic transmission oil of the latest generation with low viscosity. It meets and exceeds the required specifications of the most recent 7-, 8- and 9-speed transmissions. Even at extreme operating temperatures, Lube1 Premium ATF-LV ensures a reliable lubricating film. Attention! Lube1 Premium LV-ATF is not backwards compatible with older transmissions. Automatic transmissions that require a low viscosity ATF. Lube1 Premium DCTF is a 100% fully-synthetic dual clutch transmission oil. It is designed for wet and dry clutch systems. Thanks to the unique combination of state-of-the-art lubrication technologies, it meets and exceeds the performance levels required by dual-clutch transmissions. This applies to both wet and dry clutch systems. Lube1 Premium CVT is 100% fully synthetic. Thanks to the unique combination of state-of-the-art lubrication technologies, it meets and exceeds the performance levels required by modern, high-performance CVT transmissions and is backwards compatible with older CVT transmissions.